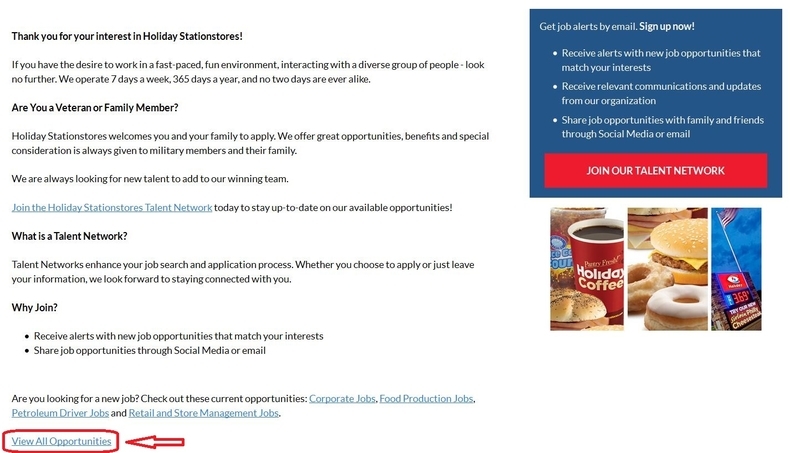 Visit Holiday Stationstores official careers page at holidaystationstores.jobs.net. Scroll your mouse to the bottom of the page, you will see the button "View All Opportunities". 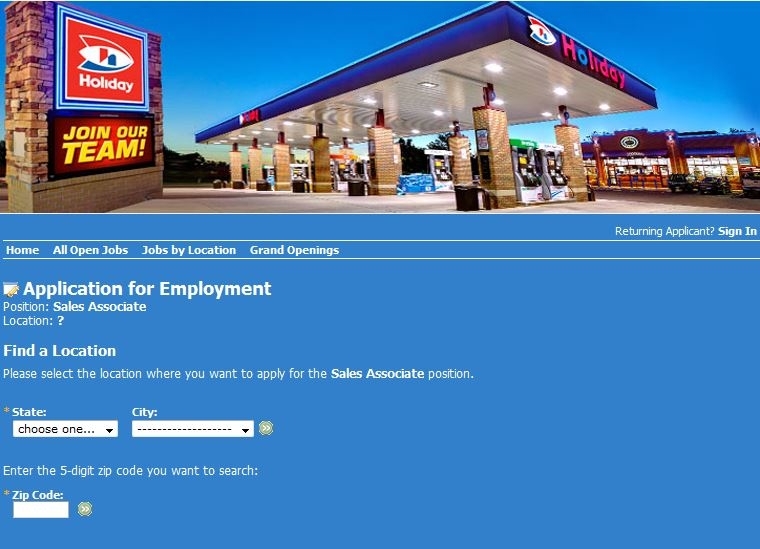 Click the button to go to the next page for the job openings. Scroll your mouse to browse the job openings list for the position you are interested in. You can click the job title for the detailed information of the position. 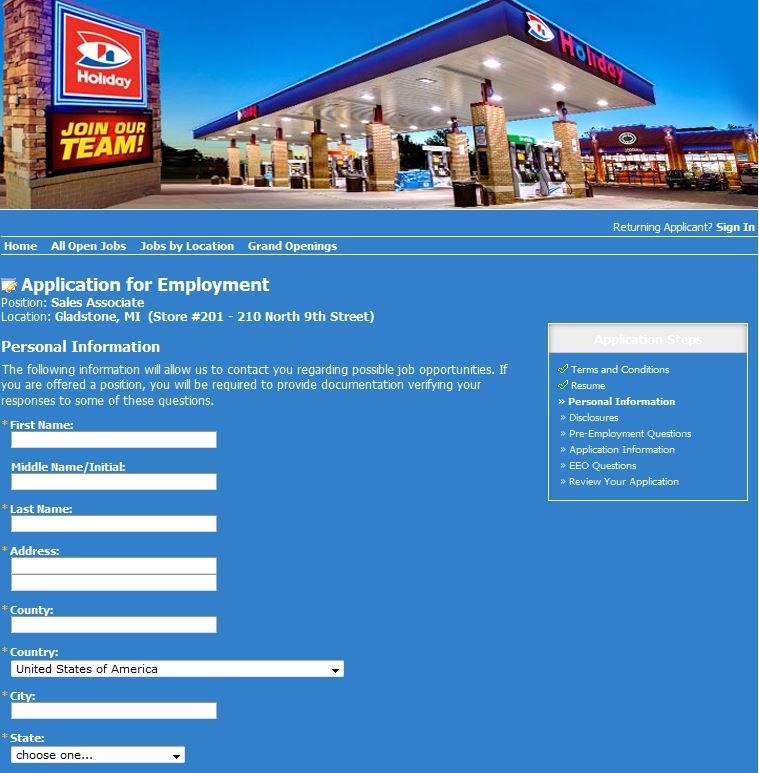 View the job details such as job description, the position benefits for both the part-time and full-time employees as well as the job requirements and then decide whether you are going to apply for the position. 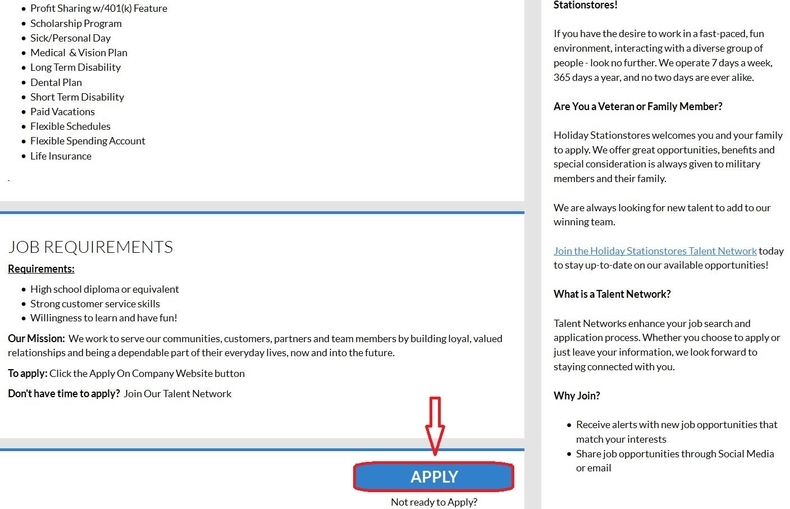 If you are sure to apply for the position, you can click "Apply" button at the bottom of the page to start your application process. 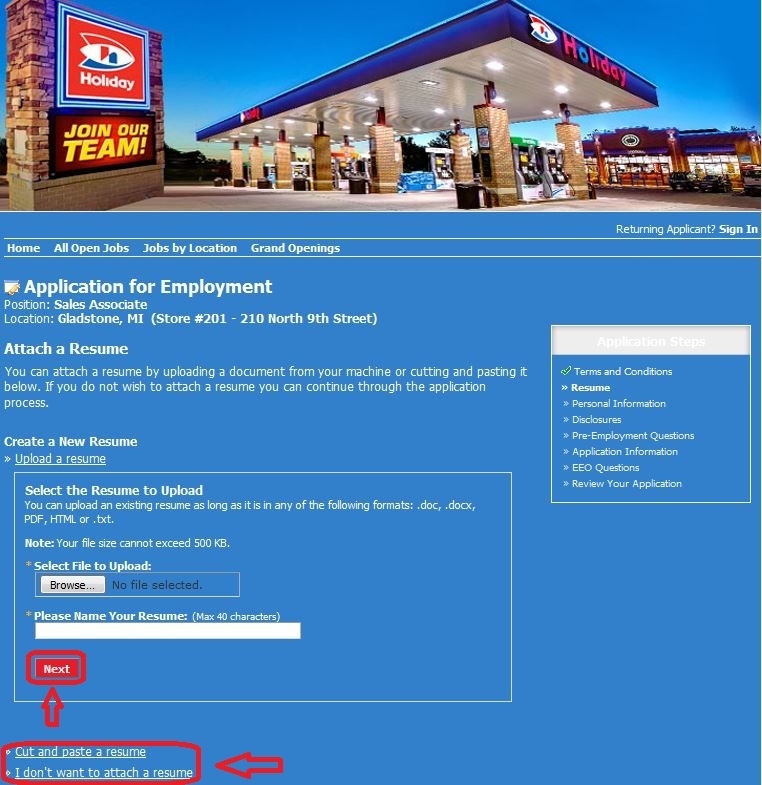 Select the location where you want to apply for the position. First of all, you should select the state, city and enter the zip code to search the location in these area. And then click the location you want to apply for the position. Upload your resume or cut and paste your resume and then click "Next" to continue. You can also click "I don't want to attach a resume" to move on. Fill in your personal information and create your own account at the bottom by entering your user name and password. Asterisk areas indicate required fields. In the following pages you need to read the disclosures and then click next to continue. 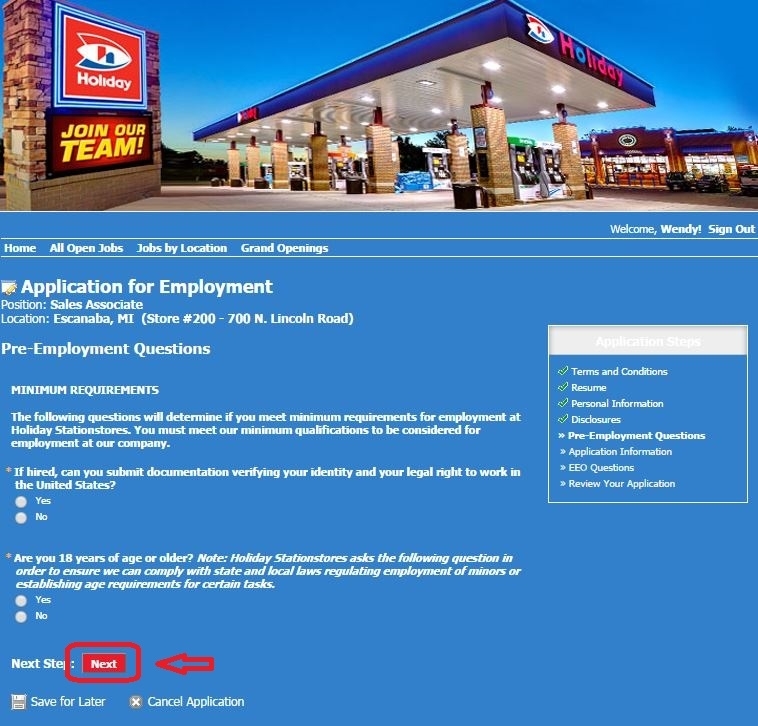 Answer several pre-employment questions and click "Next" to fill in your application information. Follow instructions to finish the rest steps and then submit your application. 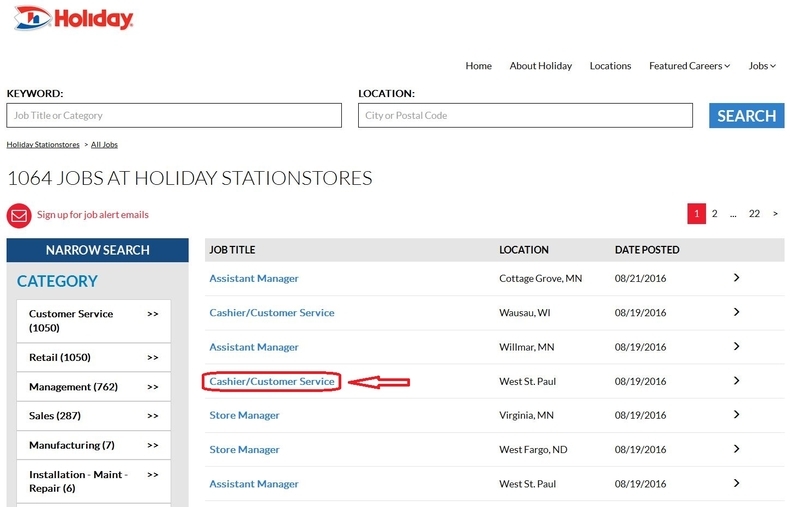 Click holidaystationstores.jobs.net to apply for Holiday Stationstores jobs online.